Landscaping and Hardscaping such as block and concrete retaining walls are both functional and decorative, where as plantings and fencing are generally more of an aesthetic issue, although occasionally the proper function of these components is essential to the functionality of the subject property as well. In all instances, however, the upkeep and maintenance and replacement of such systems are still a cost to be recognized and accounted for in the overall budget and negotiations related to a commercial property. Some commercial property inspections and property condition assessments tend to glaze over the landscaping condition portions of a report, which may be fiscally alright if the only landscaping existing is turf. Though, concrete retaining walls which to have begun to lean or heave, depending upon size, can be a considerable cost to replace or repair. Damaged sprinkler systems may also leave special plantings and turf without water during dry summer months which can result in large re-landscaping expenses in some cases. As a with any system commonly found on a commercial property routine inspection and condition assessment followed by application of proper maintenance materials and techniques is of utmost importance in ensuring the longevity of any landscaping or Hardscaping. Examples: turf, plantings, planters, retaining walls, water features, signage, plaza areas, impervious surfaces, landforms and terrain. 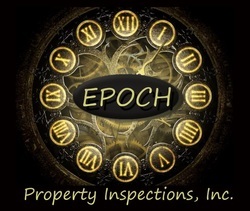 Epoch Property Inspections - Ingleside, Illinois 60041 - (224) 538-9743 - Serving Chicago and suburbs, Milwaukee, Rockford, Illinois, Wisconsin, Indiana and much of the Upper Midwest - Contact Us for specific areas and availability and a free quote! Professional Commercial Property Condition Assessment, Commercial Property Inspections, Pre-Purchase Commercial Building Inspections, Pre-Purchase Industrial Building Inspections, Multi-Residential Real Estate Inspectors, ASTM PCA Reports, Commercial ​Real Estate Inspectors, Accessibility Surveys, Real Estate Due Diligence, Environmental Property Transaction Screening - Serving a variety of clients including Property Owners, Investors, Lenders, Property Managers, Lessees, Brokers and CRE Real Estate Professionals. Accurate and Affordable Servicing the Upper Midwest including Illinois, Wisconsin, Indiana - Chicago, Milwaukee, Rockford, Gary and all surrounding suburbs, Call for Availability. All material herein is Copyright © 2019 Epoch Property Inspections Incorporated, All Rights Reserved.